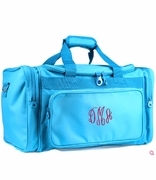 TEMPORARILY OUT OF STOCK...Personalized duffle bag. Great basic year round duffle in a classy shade of purple for travel or gym. 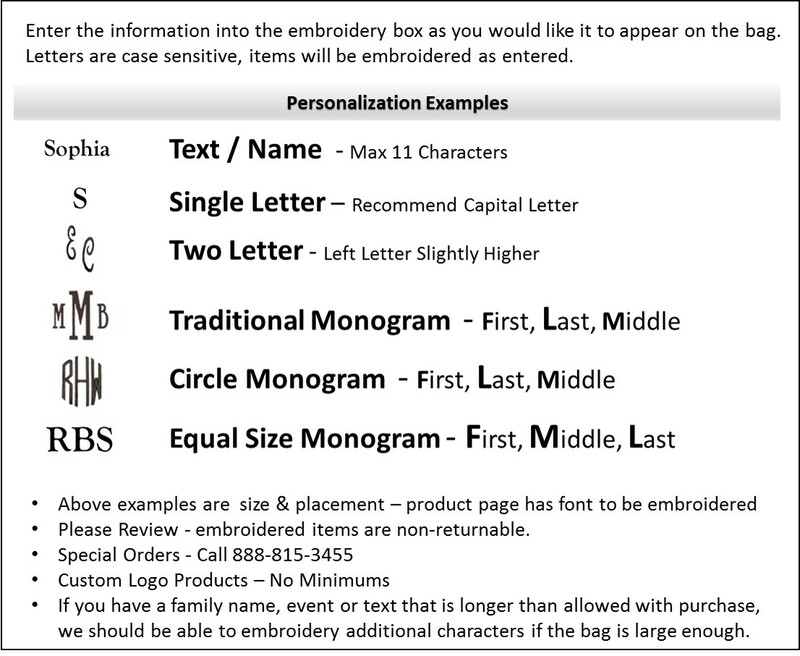 Monogram with name or initials for a gift that is both personal and useful. 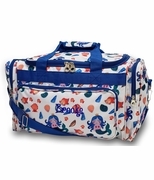 Perfect bag for weekend trips, sporting activity and dance class. Durable lightweight solid with matching trim. 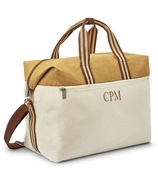 Personalized duffle tote bag measures 19"W x 10"H, ten inches across bottom. Duffle construction is a denier polyester that is self lined. Overall height 23". Generous size with side zipper gusset pockets, u-shaped easy access top zip pocket. Front zip accessory pocket. Includes over the shoulder detachable shoulder strap.